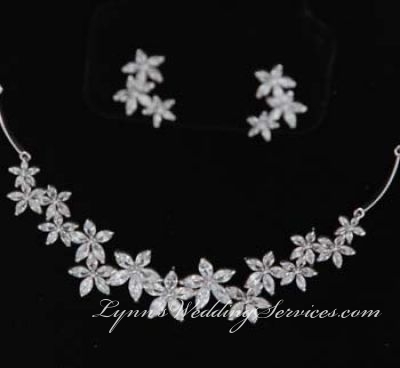 Our unique fine jewelries are specially designed for the Brides on her special day. 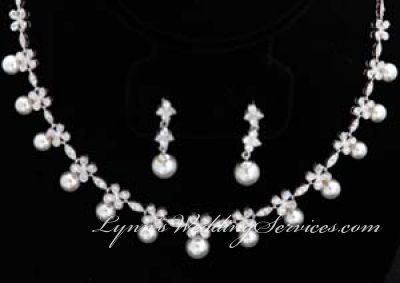 They are made with fine Agraded Cubic Zirconia diamonds, Malloca Pearls, and Swarovski Stones. 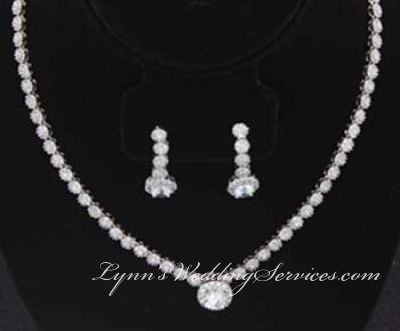 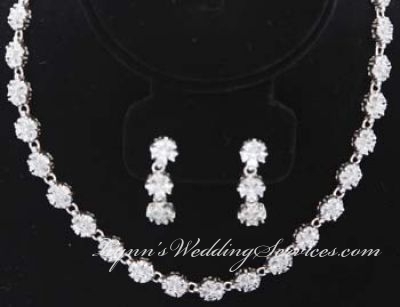 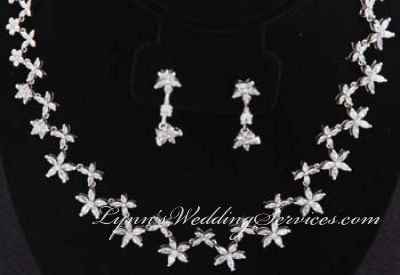 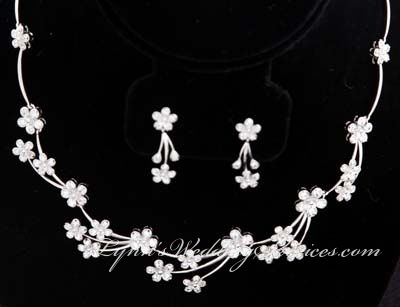 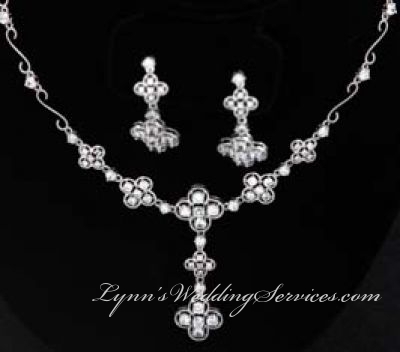 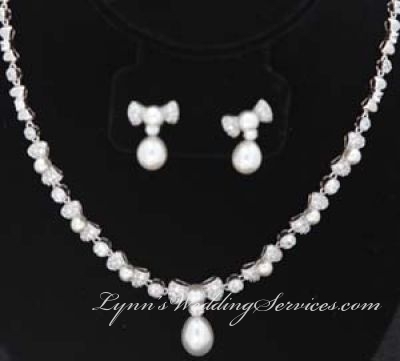 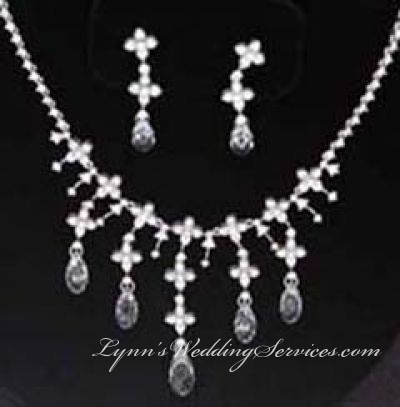 The rental comes in a set of the necklace and earings at a very affordable price. 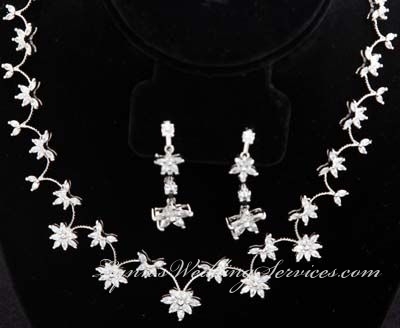 Please make an appointment to see them to get a better visuals.